Here’s what Nathan Apter, now vice president and head of Medforce operations, and Ben Dorks, chief customer officer of Ideagen, had to say about the acquisition and how not much will change going forward, including having an Apter in charge. 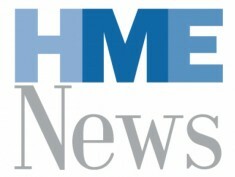 HME News: How did the deal come about? Was Medforce even on the market? Nathan Apter: Our products are used heavily in a few post-acute care markets, but we needed a way to branch out into the larger healthcare world. We investigated a few different avenues to help us get there and joining Ideagen was the perfect solution. They have the sales and marketing experience to help us grow and reach the new markets we desired. HME: What about Medforce was attractive for Ideagen? Ben Dorks: The acquisition of Medforce is in line with our strategy of acquiring complementary compliance businesses, which strengthen our quality, safety, audit, performance and risk solutions, and deliver improved customer outcomes. The organization fitted perfectly with our strict acquisition parameters, which include valuable intellectual property, long-term customer relationships and strong recurring revenues. HME: Medforce also gives Ideagen a platform in the U.S., right? Dorks: Medforce is our first acquisition in the United States and further strengthens our geographical footprint, adds value to our product suite and consolidates our position in existing markets, particularly health care. It also offers an electronic signature product that has the potential to be implemented across the Ideagen product suite. HME: How will Medforce be integrated into Ideagen? Will Esther Apter continue to lead the company? Apter: Esther is remaining for a transition period. I have been with Medforce since its inception and will take over a new role as vice president head of Medforce operations. Dorks: We have an internal acquisition integration process that we have perfected and follow step-by-step for each acquisition we complete. This has helped us successfully integrate 12 companies in the last decade, including the successful transition of employees and any associated business processes. HME: How will Ideagen shape where Medforce goes going forward? Dorks: Medforce is a growing, profitable and cash generative organization that has successfully developed its Center suite of enterprise information management, workflow, and compliance software since 1993. Ideagen has always acquired organizations with strong intellectual property, integrating that IP with our existing product suite. As an example, Medforce’s Center suite of products is used by more than 300 customers globally, supporting business process productivity and legal compliance, and we fully expect to be presented with enhanced cross-sell and integration opportunities going forward, with Medforce’s CommandCenter, ContentCenter and SignCenter of particular interest.